U.S. District Judge Rudolph Randa yesterday issued a decision to halt a secret "John Doe" investigation by five county district attorneys that began in 2012 to investigate possible illegal campaign coordination between Governor Scott Walker's campaign in the recall election of 2011-2012 and outside conservative special interest groups who supported Walker. The decision will almost certainly be appealed to the Federal Court of Appeals in Chicago. But Randa's decision underscores the continued and urgent need for Wisconsin to enact into law effective electioneering disclosure legislation. 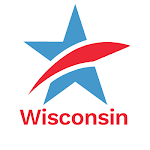 Randa ruled that Wisconsin Club for Growth and other outside special interest groups such as Wisconsin Right to Life and United Sportsmen of Wisconsin were not in violation of Wisconsin law prohibiting coordination between such groups and a candidate's campaign because they did not engage in "express advocacy" in their efforts for Walker. Instead they utilized issue advocacy – or in reality – "phony" issue advocacy, which is express advocacy masquerading as issue advocacy. Randa said in his decision "the (Wisconsin Club for Growth and its treasurer) have found a way to circumvent campaign finance laws . . . "
In Wisconsin, express advocacy is subject to registration, regulation and disclosure requirements. Phony issue advocacy is not – yet, but should be. Express advocacy has been defined by Courts since the 1976 Buckley v. Valeo decision as communications that utilize terms such as "vote for," or "defeat," or "support." But for years, the way to get around that definition and the requisite disclosure requirements was to avoid the express advocacy terms referred to as "magic words." And obviously it is easy to do and still be able to influence the outcome of an election. An example of express advocacy that would trigger disclosure and would make it illegal for there to be any coordination between a group utilizing it – and the campaign of the candidate they were supporting – would be: "Scott Burke would be a wonderful Governor for Wisconsin and you should vote for Scott Burke on Tuesday." It contains a "magic word term" – vote for. An example of issue advocacy – really phony issue advocacy, not subject to disclosure – would be: "Scott Burke loves Wisconsin and wants to eliminate your taxes, make your schools better and clean up your environment. Call Scott Burke and tell him you agree with his plan." No magic words. Obviously in the period before an election there is no difference in the effect that either communication would have in the minds of someone seeing or listening to it. Both advocate for the election of Scott Burke. But only the first one triggers disclosure. The second one does not under current Wisconsin law. That is an obvious loophole in Wisconsin's law the size of Siberia. But it is exactly that loophole that outside special interest groups like Wisconsin Club for Growth have utilized for years to spend millions of dollars to influence the outcome of elections in this state, but have escaped disclosure. And it was this very loophole that Judge Randa cited in his decision to stop the John Doe investigation, presumably because he believes that coordination between outside special interest groups utilizing phony issue ads and candidate campaigns is not illegal. Wisconsin Club for Growth spent over $9 million on behalf of Walker in 2011-2012, but Randa seems to be saying that because the communications utilized were largely (or completely) phony issue ads and not express advocacy, then there was not illegal coordination. That defies logic – but whether it is illegal or not will be determined by the Federal Court of Appeals. Since 1997, Common Cause in Wisconsin has advocated closing this phony issue ad loophole and requiring outside groups that run widely-disseminated communications that no reasonable person could otherwise interpret as attempting to influence her or his vote for or against a candidate (even if it does not contain one of the so-called "magic words"), be subject to registration and disclosure – if it is run in the period of 60 days or less prior to the election. This is not an infringement of free speech. This is common sense. And even the conservative U.S. Supreme Court majority who "gave" us the Citizens United V. F.E.C. decision in 2010 told Congress and the states that they really ought to require disclosure and regulation of the massive amount of outside money they were unleashing on our elections. In 2013-2014, CC/WI helped initiate and promoted such electioneering disclosure legislation with bipartisan co-sponsorship – Senate Bill 166. Clearly after Judge Randa's decision yesterday, it is needed even more urgently than ever. For more on this developing story go here, here and here. 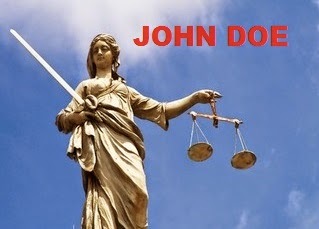 Judge's Order to Shut Down John Doe Probe Demonstrates Need to Close Phony Issue Ad LoopholeTweet this!